Computer Repair Companies/Services located in Arkansas – AR . Check out US Computer Repair.org for a comprehensive list of computer repair companies in Arkansas and other states in the US. See the computer companies in the Arkansas cities below. 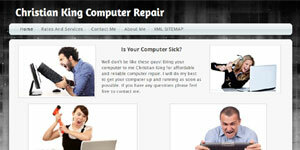 Computer Consulting & Repair, Inc.